Dana, A., Rafiee, S. (2018). The Role of Task Constraints in Learning Football Chip Shot though Observation. Iranian journal of Learning and Memory, 1(3), 61-1. Amir Dana; Saleh Rafiee. "The Role of Task Constraints in Learning Football Chip Shot though Observation". 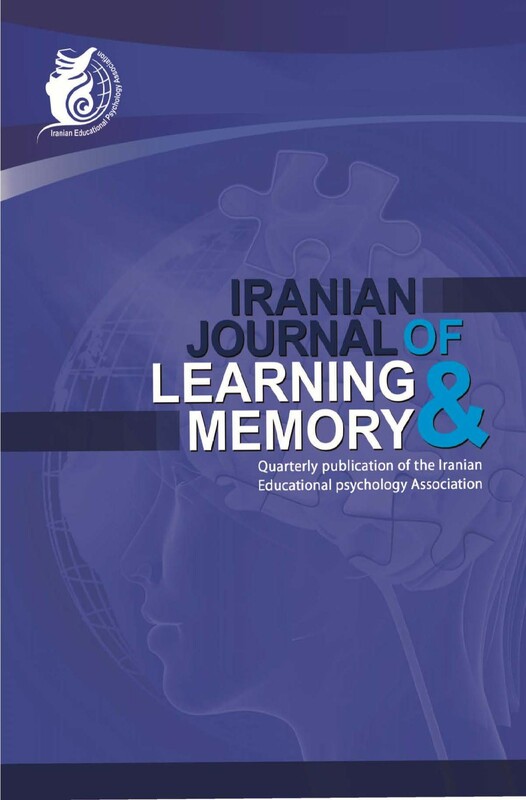 Iranian journal of Learning and Memory, 1, 3, 2018, 61-1. Dana, A., Rafiee, S. (2018). 'The Role of Task Constraints in Learning Football Chip Shot though Observation', Iranian journal of Learning and Memory, 1(3), pp. 61-1. Dana, A., Rafiee, S. The Role of Task Constraints in Learning Football Chip Shot though Observation. Iranian journal of Learning and Memory, 2018; 1(3): 61-1. 2Assistant Professor of Sport Science Research Institute of Iran (SSRI), Tehran, Iran. The purpose of this study was to investigate the role of task constraint in learning football chip through observation. For this purpose, 20 children (mean age of 11.6±1.7) participated in this study and were randomly divided into two groups (10 individuals). At the acquisition stage, one group watched the model and they were told nothing about kicking the ball, while the other group was told that the task is to kick a ball that should land on a specified target. At the acquisition stage, participants performed 30 attempts (three blocks of ten attempts each) which before the first attempt, they watched the model's film five times, and again, after each attempt they watched the film. After 24 hours, participants were again called to the lab and performed ten attempts as a reminder. The kinematic movement of the participants was recorded in order to compare it with the model. The results showed that the non-ball group had a more similarity to the model than the group with the ball. However, these results showed that in the speed variable, the movement of the group with the ball is more similar to the model. These results were explained in terms of goal-directed imitation theory as well as the existence of an external goal in the task.